How to lock applications in the background? Learn about how to lock applications in the background. Applicable for all ColorOs versions. Check your ColorOS version in [Settings] > [About phone]. Lock the applications in the background. For ColorOs 5.2.: 1. Press the Menu button. 2. Slide down the application interface until you see a lock icon at the left upper corner. If the icon is grayed out on a certain app, it means it is unable to locked it on the background. 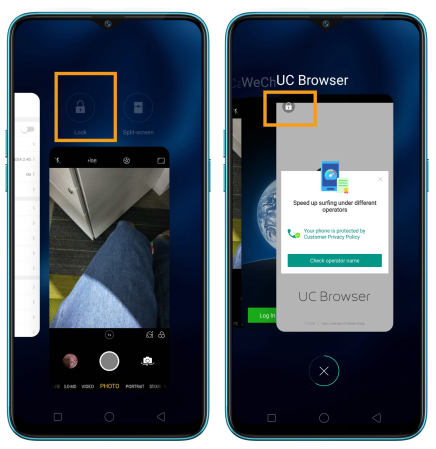 How to use File Safe in your realme smartphone?